I may be taking a brief hiatus from podcasting, but things are still happening here behind the scenes of CraftLife, the result of which is …(drum roll)… the first CraftLife contest! I have finally finished spinning up that kool-aide dyed fiber I shared with you all those episodes ago, but I’ve run into a bit of a snag. What should I call it? 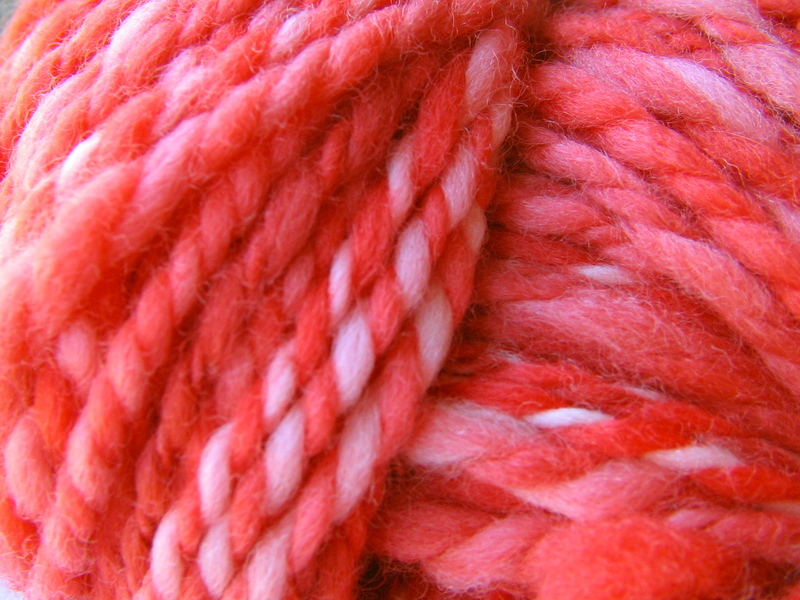 This yarn ranges the spectrum of bright reds to pale pinks, and will be offered up for sale in my Etsy shop during the month of October to raise money for breast cancer research. 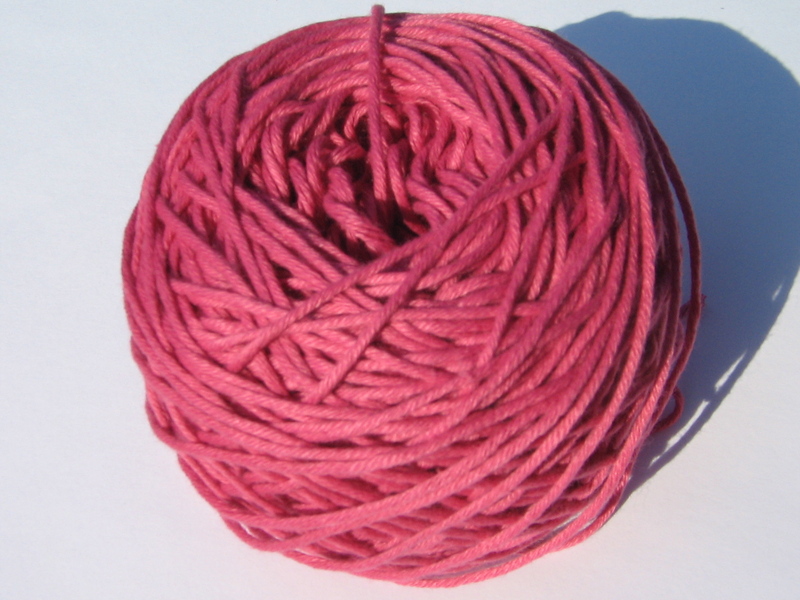 If you have a brilliant idea for a colorway name for this, please share it in the CraftLife group thread on Ravelry. If you have more than one brilliant idea, share that as well! There is no limit to the number of ideas you may submit. This contest will be open until August 16th at 11:59pm, CST. I’ll choose my favorite colorway name from the suggestions, and announce the winner in Episode 11. The winner of this contest will receive one skein of Corntastic by Kollage Yarns in the Garnet colorway. This is 105 yards of machine washable and dry-able 100% corn fiber. I had originally purchased this yarn to use in a project that I have since decided to take in a different direction. It has been wound into a center-pull ball, but I can certainly re-skein it if the winner prefers. Tell ‘Em What They’ll Win! Thanks for offering up your suggestions! I can’t wait to see what all of you creative-types come up with. 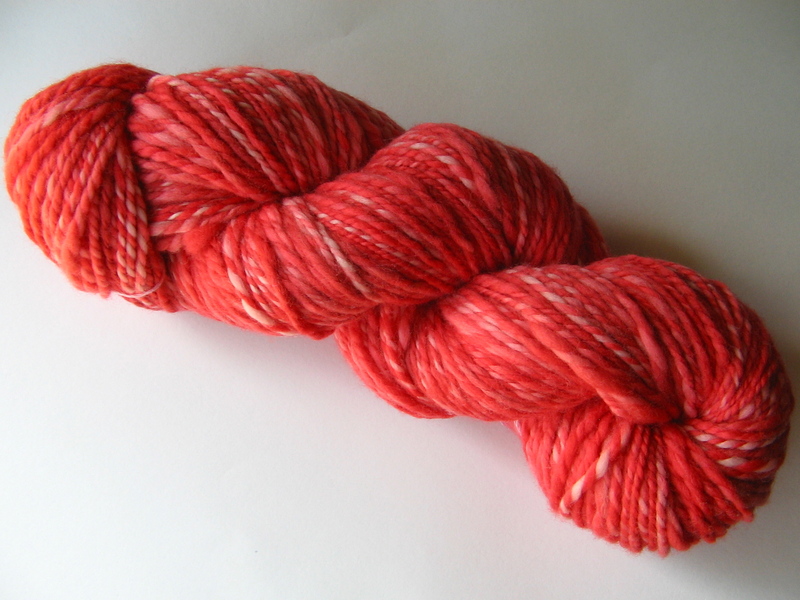 4 Responses to "Name That Skein Contest!" A million thanks for posting this inmfroation. Marley has been a blessing to our band. Now she is focused on preparing the little son she has brought into our community. Her son is fortunate. His mother is connected to a strong unit and culture. We will guide her and bless her in return for all things she has done for us and her son will grow to know the ways the Creator. Whats up. Very cool web site!! Man .. Beautiful .. Wonderful .. I will bookmark your web site and take the feeds also…I am happy to find so much helpful information here within the article. Thanks for sharing..
You do realise Hema in the Netherlands sells these in each and every store? The bread could be crispier but the mustart sauce makes up for a lot, try them when you go back to Holland!